Ola Handmade Jane readers, I’m Rachel from House of Pinheiro and I'm so excited to be joining the OWOP series of guest write ups on style. Defining the meaning of the word ‘style’ is never easy, there are too many variants and like every ‘rule book’, there are some meant to be broken. More than what one wears or how one wears it, style is something that cannot be faked. A fusion between individual personally and vision. What matters is that it isn't an exact formula. Style is what works for each individual. If it works for you, it shows in confidence and that’s for me the biggest successful style indicator. Defining one style can be hard. We get bombarded by enticing images, fashion trends and well, our own genetics and lifestyle throw us a curve ball. The important thing is to embrace whatever makes you jump of excitement. Sewing can lead to a very interesting journey in search of one personal style. Today I’m sharing a snapshot of mine. You know, the kind of outfit that people immediately refer when they think of you. 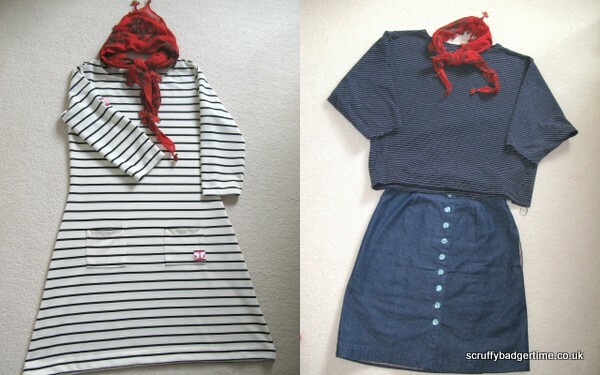 That can be either defined by labels, like ‘breton’: stripy boatneck and capris or by one item of clothing: a trench coat, a scarf etc… For some people their style path is very clear, for others it requires a little more thinking. That’s because we are not ‘one’ piece. We have phases, we evolve, change our view of the world with every new experience. However if we look closely in your closet, there are a few clues of a signature style: A common theme like ‘comfortable’, 'clean lines', a predominant colour, predominant hem height, type of print, predominant shape. My signature is tailoring. 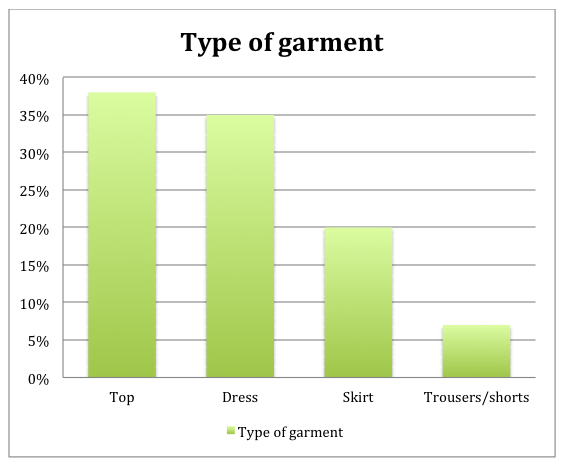 A wardrobe consisting of fitted clothes: Blazers, sheath dresses, slim fitting trousers, knit dresses. 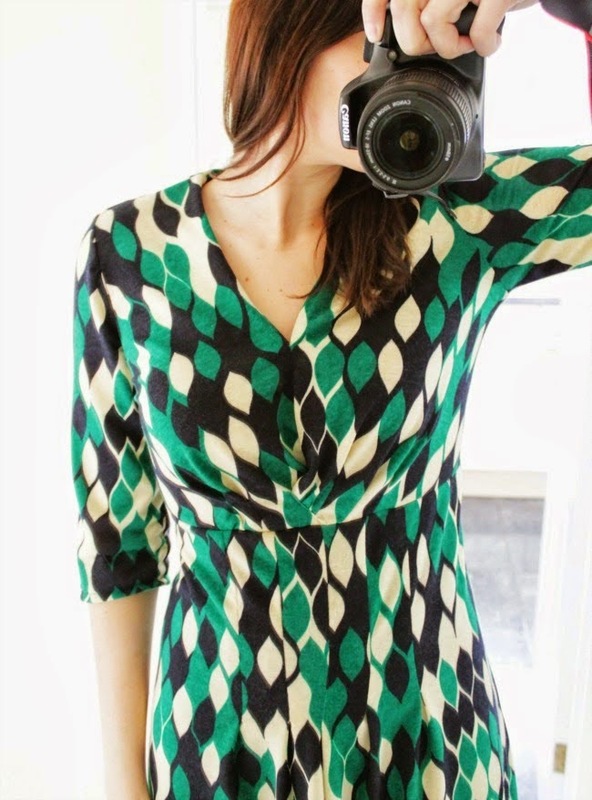 I also have a favouritism for bold prints & colour. I have been quite experimental sewing different shapes and patterns, also taking into consideration what was needed in my wardrobe. 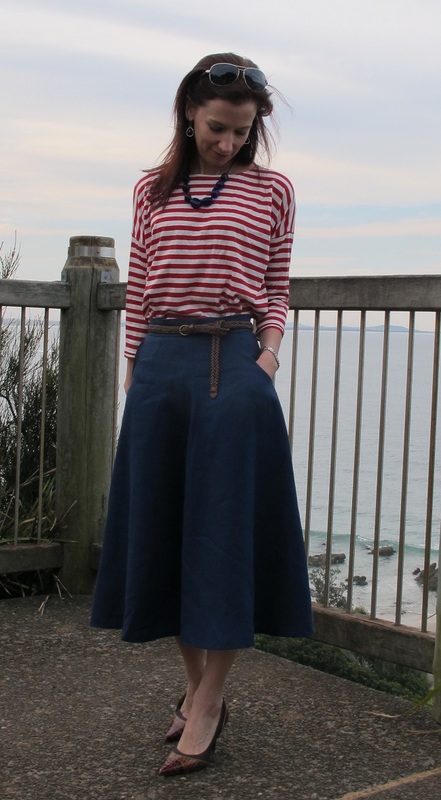 Unlike when you try RTW clothes from a shop dressing room where you can immediately decide if something is or not "you", sewing for your style requires a little bit of commitment and imagination. Matching the right fabric to the right pattern becomes more selective as times goes by. Past mistakes are taken into account both on shapes and prints. 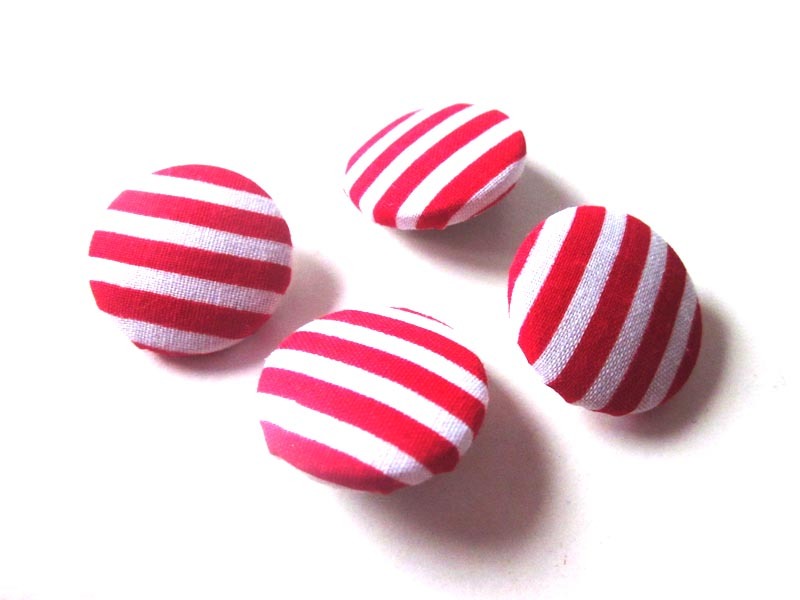 Do you have any repeat ‘offenders’, a TNT pattern that you make over and over… comfort sewing? Or do you sew for a 'dream' wardrobe that’s kept in the closet most of the time waiting for the right time? Any of those choices match with your lifestyle? My lifestyle off-duty uniform (i.e what I dress without thinking, almost always a variation of the same silhouette with different pieces) is consistent of slim trousers, mainly jeans worn with a fitted tee or shirt, statement coat or blazer, a scarf or long necklaces, accessorised with different size bags, hats and sunglasses. 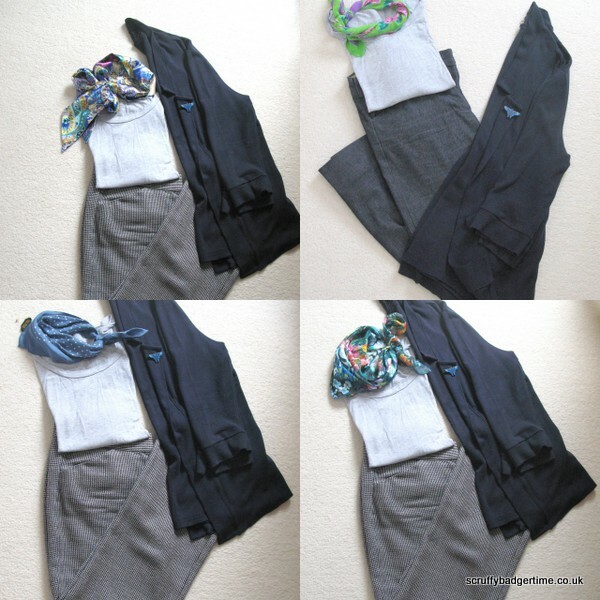 When corporate I do fitted skirts, blazers and dresses, rarely trousers. My comfort sewing is to sew knit dresses, generally with long sleeves, because I love layering clothes in the winter. I often have to manage the desire to sew my lifestyle uniform, my comfort sewing projects and the latest challenge ( ie new pattern, new technique etc) and that keeps sewing fun for me. I keep skipping from one area to another, and most times without realising, reinforcing my personal style by my choices of fabrics and silhouettes. 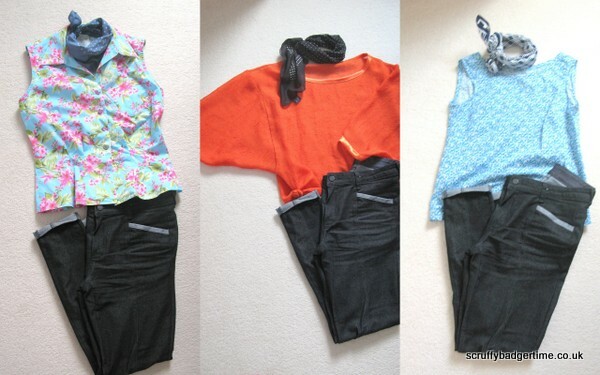 With a very eclectic wardrobe trying to pick odd pieces is a challenge. Knowing what you are not is generally a great start. I'm not 'vintage' or "street urban". This dress has the fit and colour I like but the fabric print & texture, hem height didn't work because It creates a vintage look which I don't like. Being tall I can take advantage of bolder styles, proportions (oversize- mini) and prints. Playing individual characteristics can help refine your style choices. Look at areas like, body shape, colour of your hair, nice eyes, legs etc. Complementary colours to your features, silhouettes that highlight your best assets helps when defining your style. Think about your whole package. What do you want to tell the world? Throw out every style rule you read that doesn't work for you and trust your instincts. Does it feel right? Does it feel like 'me'? The fun thing about sewing is that YOU are in control! Sew happy! You can read more over at House of Pinheiro. Aw thank you so much for a wonderful post Rachel. What you write rings so true, I found myself nodding along the whole time I was reading it! 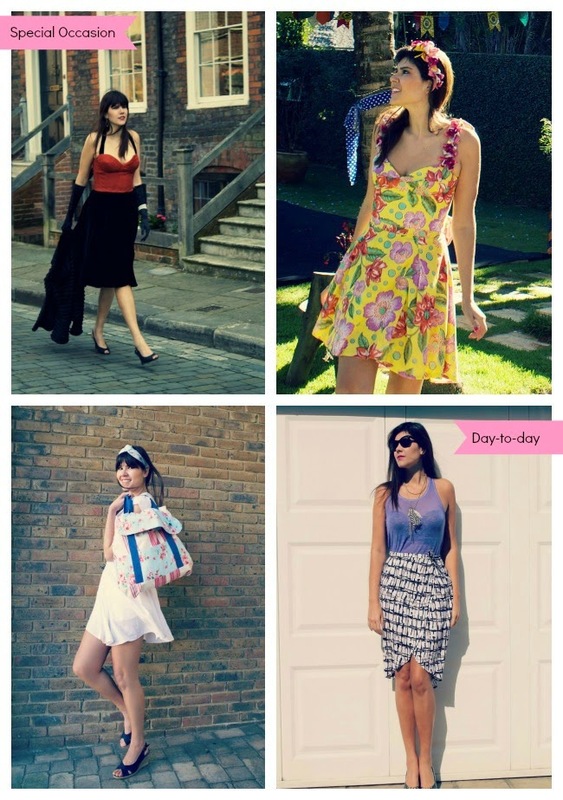 Sewing IS all about finding your personal style and deciding what look works best for YOU! 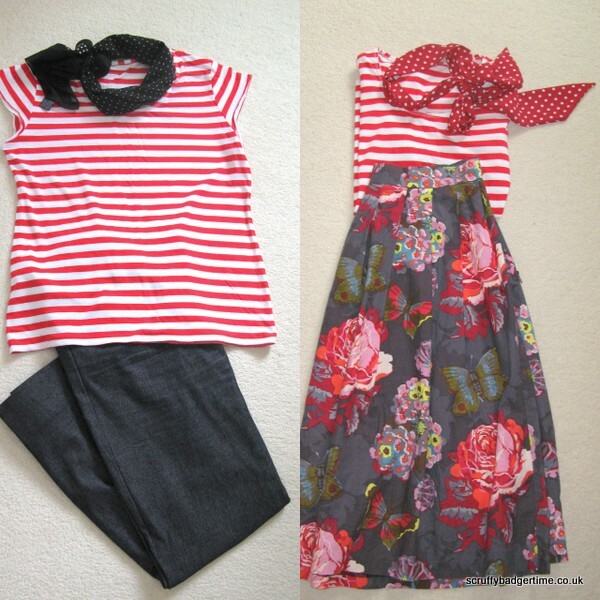 Don't forget to catch up with the two previous OWOP guest posts by Winnie at Scruffy Badger Time here (styling with scarves) and Lizzy at Sew Busy Lizzy here (styling with different accessories). It's been an absolute privilege having three such accomplished stitchers share their thoughts on style for OWOP. I've definitely learnt a lot and picked up some awesome tips - I hope you have too. Massive thanks once again to Winnie, Lizzy and Rachel. Here's a conundrum for a fine summer's day - does anybody know what this is? It's a roll containing 20 patterned fabric squares which my father-in-law gave me. I think he originally picked it up in an antique shop. Forgive my ignorance, but I have no idea if the printed characters are Chinese or Japanese - can anybody enlighten me please?! …then as it unrolls, there are 20 different fabric designs, each section approximately 14" x 11'. I've shown my favourite designs below, in addition to these, there are also several plum/purple based designs. The Japanese fabric shop Fabric Tales carries a very similar design to the last pattern in its 'Traditional Patterns' section. It's called Asanoha or hemp leaf. This makes me think that the fabric roll may be Japanese, but I could be completely wrong. My father-in-law's guess is that it was a sample roll used to sell new fabric designs, hence the numbering and the small, sample sizes of each design. I think he could be right. The fabric type feels incredibly soft and drapey, like some sort of silk crepe. I did initially toy with the idea of using some of the sections as secret pockets or facings, but when push came to shove, I just couldn't bear to cut into the roll. All I know for certain is that the designs are absolutely exquisite. It's a joy to unroll it and look at the beautiful colours and designs. I recently had a couple of precious mornings all to myself i.e. no children to entertain. This was my last chance for garment sewing until September, so I chose what I was going to make carefully. 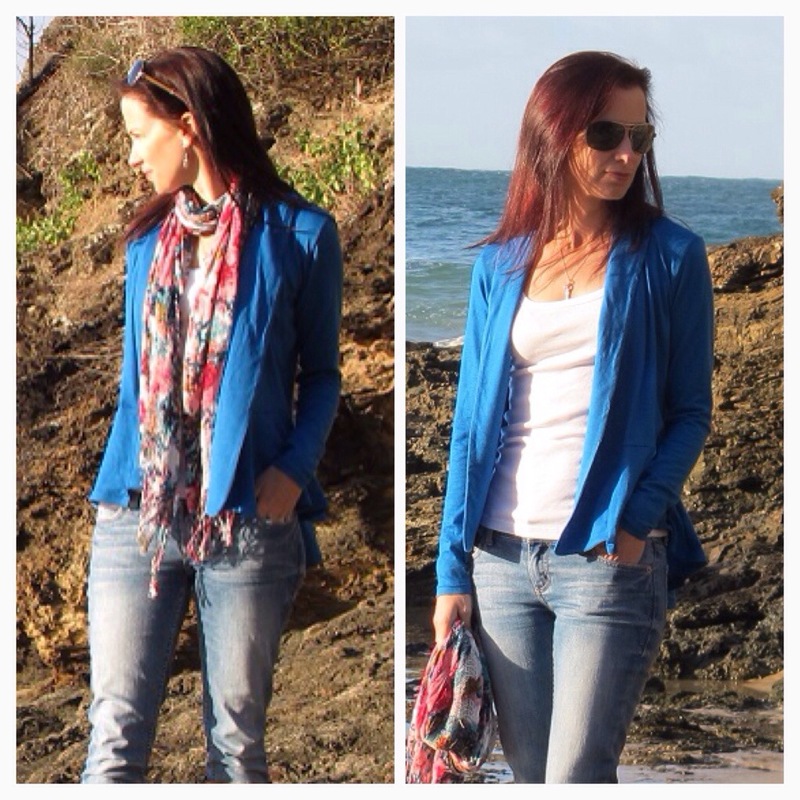 I wanted an easy top for my holiday, it had to have minimal fastenings (ideally no zips or buttons), a fitted shape and be made in a lightweight fabric for wearing at the beach. 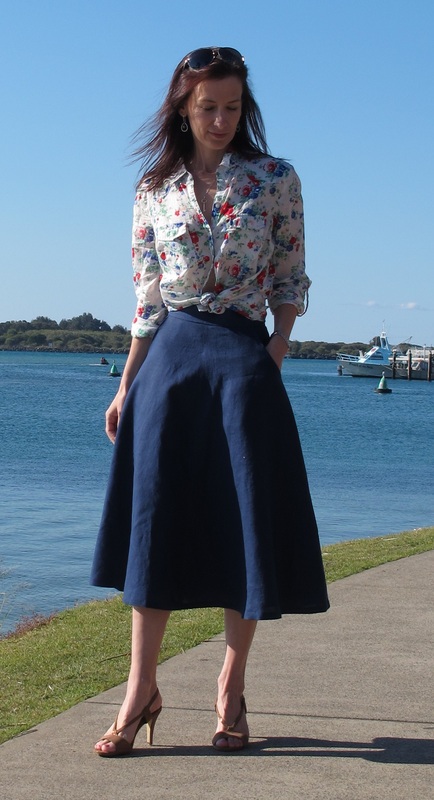 I trawled through my pattern collection looking for inspiration, before finally settling for Simplicity 2154 - a sixties style bow blouse which I first made here. Now, you may think something Miss Moneypenny would have in her wardrobe would be highly unsuitable for holiday wear, but stay with me. As a casual holiday top, there's a lot to be said against using this pattern: it's quite high necked, it looks formal, it has a ginormous bow and if you're not careful, you could end up looking a bit too 'Dog Toby'. Looking like 'Dog Toby' is an expression my mum and I use if something looks a bit too frilly and ridiculous around the neck, named after the fine, ruff-wearing dog from Punch and Judy. Moving on… you'll be relieved to know that I never intended to keep the original bow on the front. 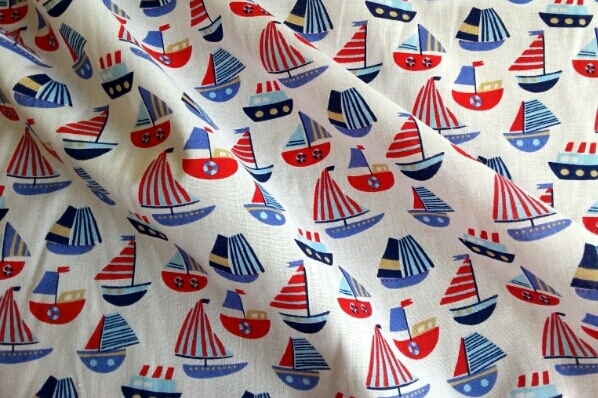 I might have a thing for bow blouses, but even I realised that a giant one would be just too Dog Toby for the beach! Let's talk about what was right about the pattern instead. What drew me to it was the fact that I managed to get away with not inserting a side zip the first time I made it. It has bust darts and contour darts to the front and back, so although it's roomy, there's enough shaping there to still make it look fitted. It also has cute keyhole details at the front and back neckline which I thought would be a nice feature for holiday wear. I wanted it to be a quick make, so as well as the bow, I also decided against including the collar - it would just be a simple shell top with added keyhole details. It sewed together like a dream but when I tried it on, the neck was too high. It wasn't unnaturally high, just not as casual as I'd hoped. I decided to lower the front neckline and have the front fasten with a thin bias binding bow - I'd still get a bit of bow blouse action, just not of the Mrs Slocombe variety. I lowered the front neckline edge by about an inch and drew a curve to join it up with the rest of the neckline. Because the neckline is finished with self bias binding, I simply cut out double the amount of neck binding and let the remainder hang loose from the centre front edges. This extra neck binding became my bow. Simple! The fabric is a Japanese cotton lawn from the same selection at Abakhan that my lemon lawn came from. I was delighted to receive a gift voucher from Mr Will Abakhan himself as a thank you for inadvertently helping to shift copious amounts of lemon lawn fabric! The voucher burnt a hole in my pocket for all of five minutes before I blew the whole lot on….more cotton lawn! I couldn't resist, it's so soft and lightweight, absolutely perfect for hot weather clothing. 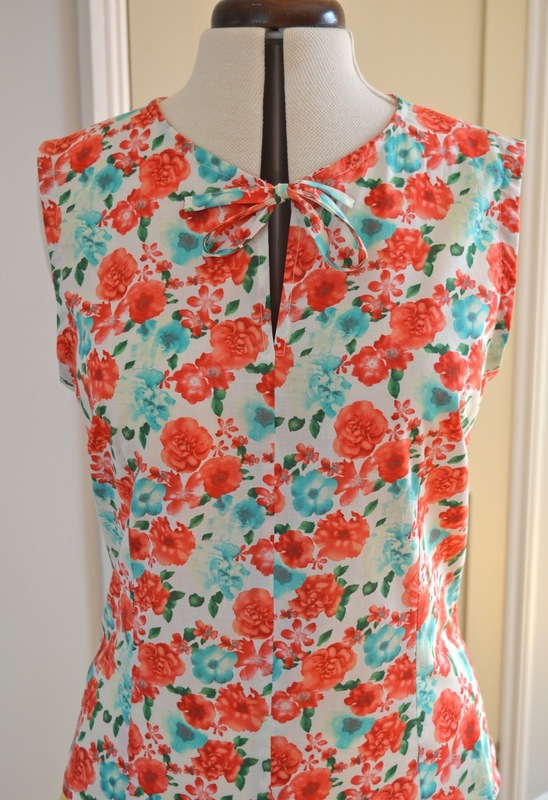 I chose two metres of a gorgeous red and turquoise rose print, and as the blouse only requires a front piece, a back piece and a few strips of bias binding, I still have nearly 1.5 metres left to make a dress with next year. Woohoo! I didn't bother underlining it this time as I deliberately wanted it to be as light as possible. It took me one morning to cut out and sew the blouse together, and another to fiddle with the neckline, so it was still a quick, easy make. 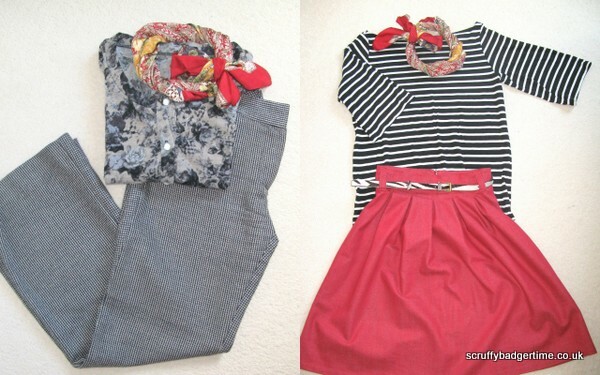 It teams up really well with my vast collection of red and denim skirts, shorts and capri trousers too, hoorah! Thank you for the generous gift voucher Abakhan - last minute holiday top sorted! 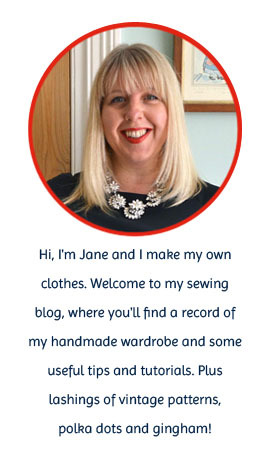 Today is the first of three guest posts written by sewing bloggers especially for One Week, One Pattern. We kick off with Winnie from Scruffy Badger Time, woop, woop! Winnie is an amazing seamstress. with a colourful and classy hand-stitched wardrobe to match her warm and vibrant personality. I'm lucky enough to have met her countless times over the years and now consider her a true friend (amazing fact: my husband Jon use to deliver the paper to Winnie's house as a teenage paperboy!!!!) When she's not running marathons or trying out a new wig, Winnie is a dab hand at accessorising with scarves. Here's what she has to say on the subject…. 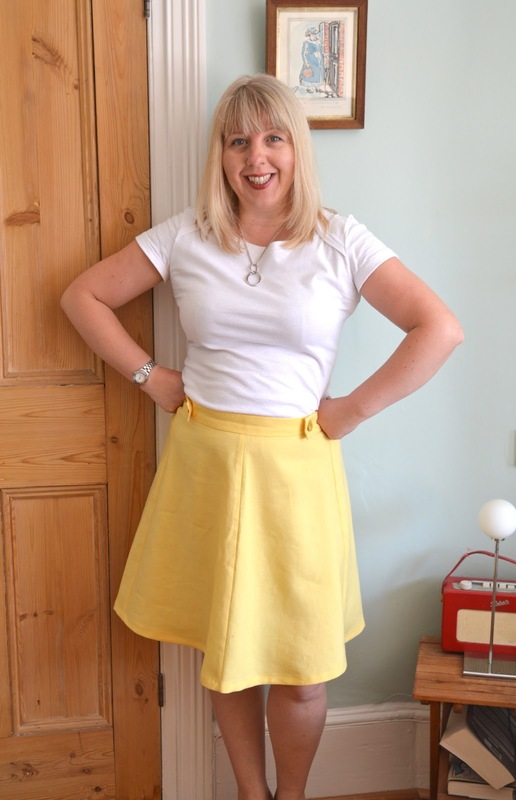 When Jane asked me to write a guest post on style as part of OWOP I didn’t flounder on the concept of articulating my own personal style, which is haphazard to say the least and subject to all sorts of whims, occasions and functionalities...no! I immediately thought “accessorise". I mean if you want to get more mileage out of an outfit during OWOP, accessories can be a lifesaver. And for me that means accessorizing with scarves primarily. There have been so many style icons and stylists along the way that have extolled the virtues of the right accessories to transform an otherwise sad outfit into one that is starlet fit, or just plain classy. So it is nothing new. But this is about One Week, One Pattern and as with many of our online challenges this can often bring insights and new ways to looks at things you’ve made. And if there’s a message through this post, it is to say “don’t forget about your accessories! - Change the shape of a neckline to suit my face shape – eg a boatneck / slash neckline doesn’t suit me so well, but creating a focus on a scarf to draw a round neckline suits my face shape much better. I do not like too much volume though and I tend to take larger scarves, fold them into a triangle, then roll along the long edge (a bit like a cub scout scarf!) to get the volume of fabric under control and therefore able to be tied in a bow, or wrapped around itself. Most of these scarves are RTW – some vintage even, but I have made my own too, using precious fabric leftovers and extending their appearance and wear in another form. 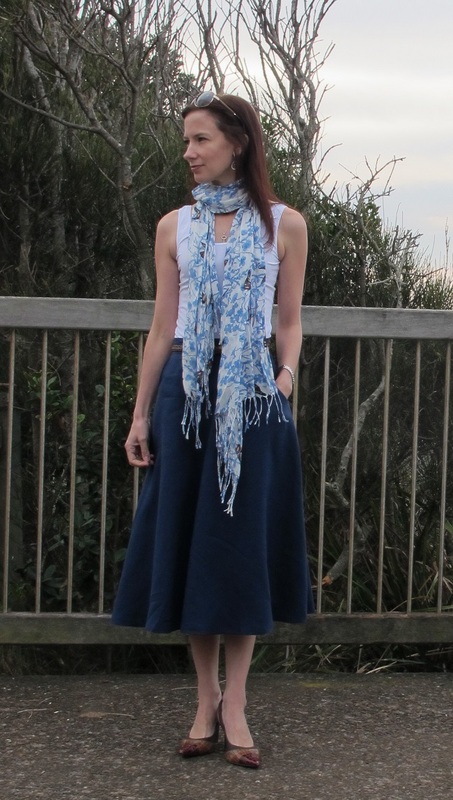 I have made a couple of Brigitte scarves from Tilly’s “Love at First Stitch”- one of these and its many ways to wear shown here. But jumped on this opportunity and quickly posted a tutorial on my blog for using your overlocker’s rolled hem to make a natty scarf. 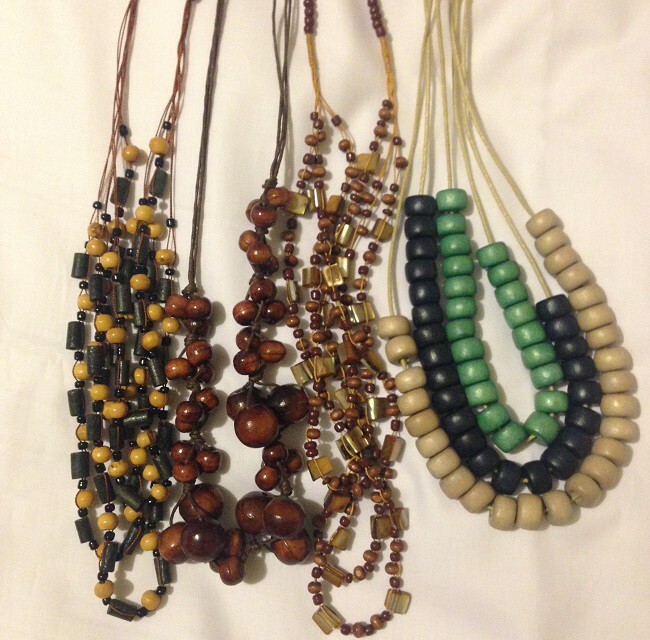 So if you like the idea of accessorizing, why not have a go at making your own? Don't get too excited, there isn't anything new or shiny to see. 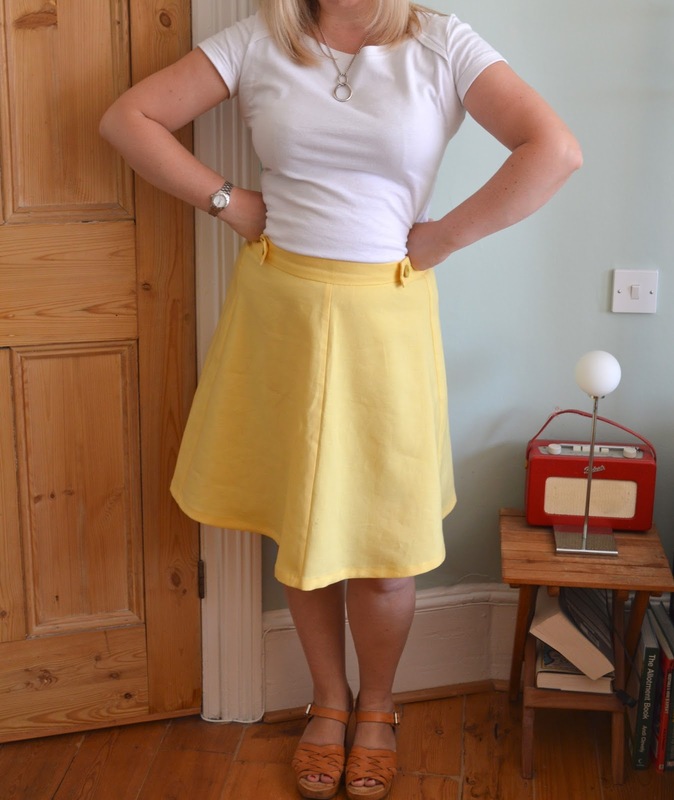 I've just fiddled about with my Miette skirt to make it more wearable. 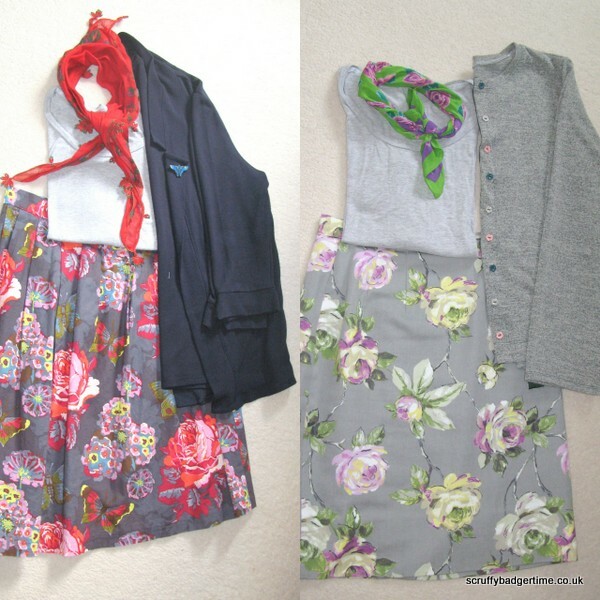 I did this with a couple of skirts last year and gave one of them (the grey floral one) a whole new lease of life - in fact I'm wearing it as I type this! Sadly the green one still didn't do much for me, so was brutally culled from my wardrobe. 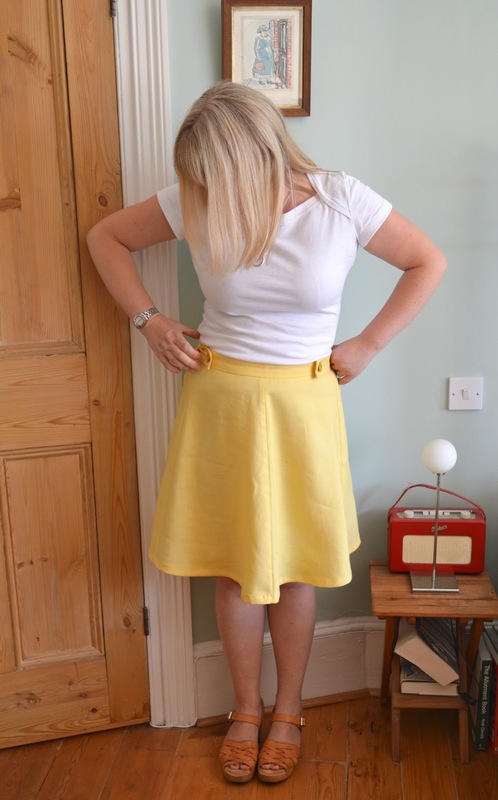 This year I decided to tackle my Tilly and the Buttons Miette skirt. I made it over a year ago but have only worn it once or twice because I just couldn't get on with the big bow at the waistband. It's a lovely bow and all that, just too big, which means I can't ever wear anything untucked as it gets in the way. 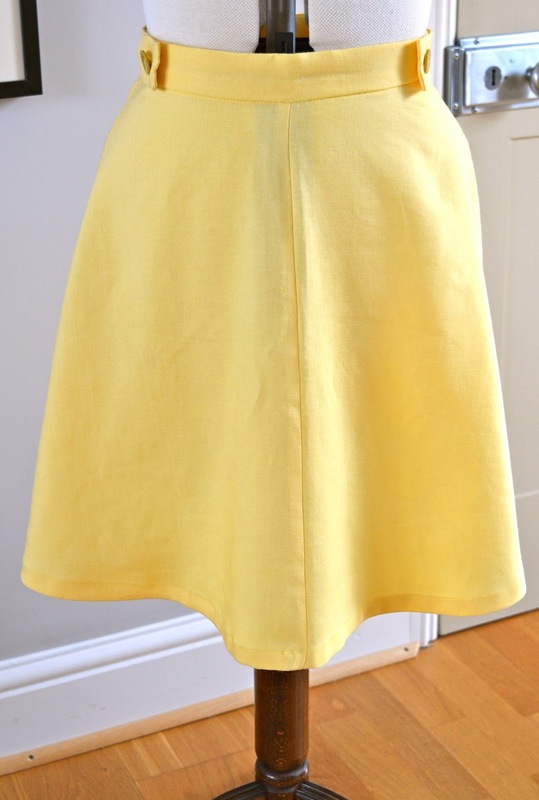 In fact before I set to work on my Miette skirt I wore it for a while to see if I'd change my mind about it. Within minutes I'd caught the bloody ties in the cutlery drawer which sealed the deal - the bow had to go! 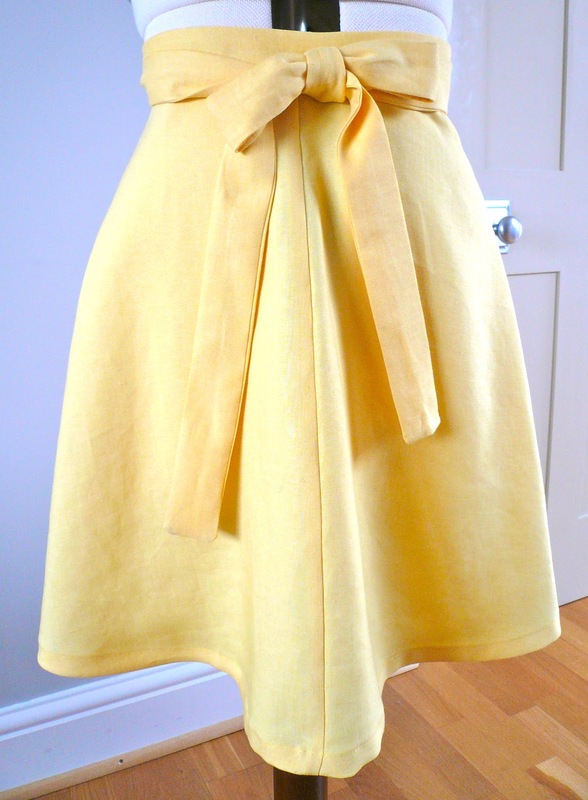 Some clever stitchers dispensed with the bow and made their skirts tie-less right from the start (Lauren here and Fiona here) but having already made my Miette, I had to do it retrospectively. Despite my whingeing, it was a pretty simple refashion. I cut the ties to the shorter length I wanted, turned the ends in on themselves and slip stitched them closed. I then made two buttonholes in the ties and sewed two buttons onto the waistband. Easy peasy. I now have a simple tab feature on the waistband which I much prefer to the bow. I also decided to wear the skirt a bit lower than when I first made it. Looking back at the photos in the original post (in which I look deranged) I'm wearing it too high to be comfortable, plus I don't think it's particularly flattering. Having it sit lower on my hips makes it much easier to wear and it gives the illusion of lengthening the skirt too, which it was in need of. Well, I promised you sub-standard graphs for OWOP and that's exactly what you're about to see! Quite a few of you are still making up your minds about which pattern to use (which is totally fine by the way, it's not a decision to be taken lightly), so these stats are based on what people have signed up for so far. You wouldn't believe how long these bits of rubbish took me to create, and they're still not perfect. But hopefully they'll give you an idea of which patterns and garments you're all choosing to work with. 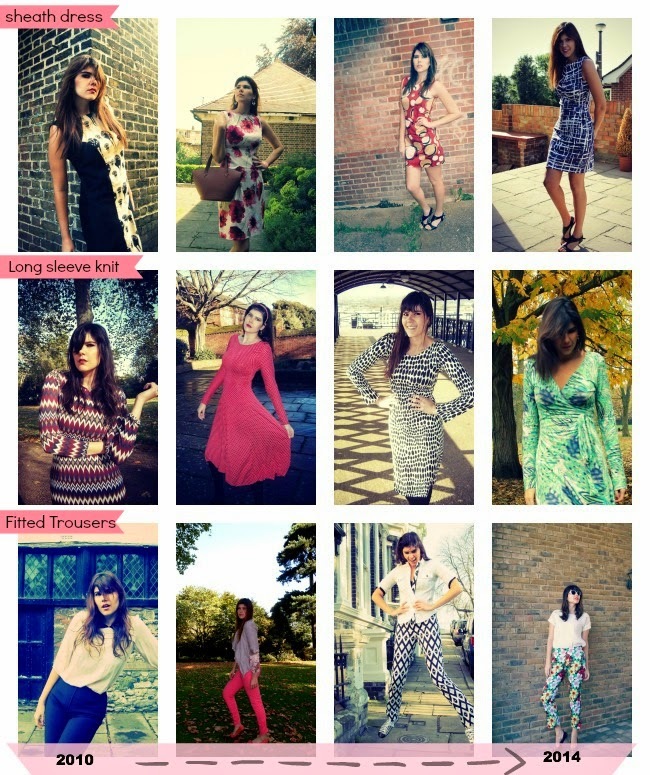 Amongst the pattern companies, Colette is the clear winner with about 15% of you choosing to use their patterns. 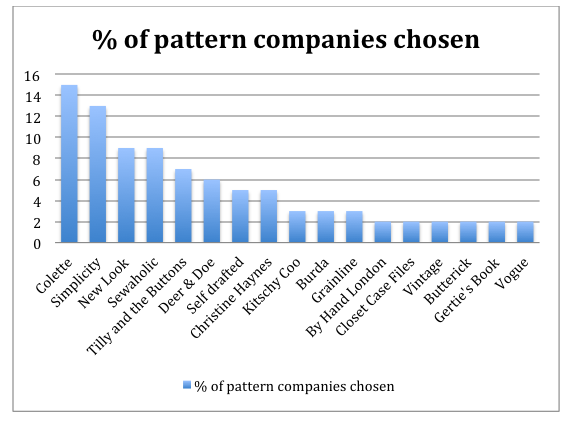 The chart below shows all companies that have had their patterns chosen more than once. Not shown are a long list of new indie companies whose names only cropped up once - I just couldn't fit them on the graph! The one big difference since the last OWOP is that far more independent pattern companies now exist. Last time, Colette was still the dominant pattern company, with relative newcomer Sewaholic the only other independent pattern company in the top ten. Things have changed quite dramatically this year, with 57% of chosen patterns being from independent companies. 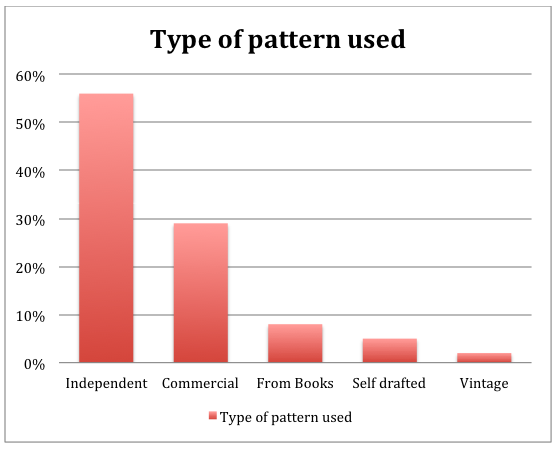 What I refer to as Commercial Patterns (Simplicity, New Look, Butterick, Vogue, McCalls and Burda) represent 29%, with a fair few of you (8%) choosing to use patterns that come from books. 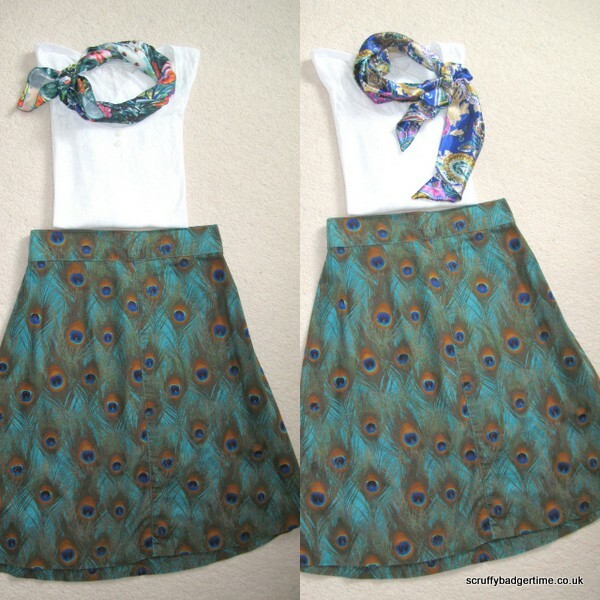 A handful are using a self drafted pattern and just two people (myself included) will be using a vintage pattern. When it comes to type of garment chosen, there's a big shake up in this category too. As you'd expect, the majority of you have chosen a top, blouse or shirt pattern as they offer the most choice for styling. 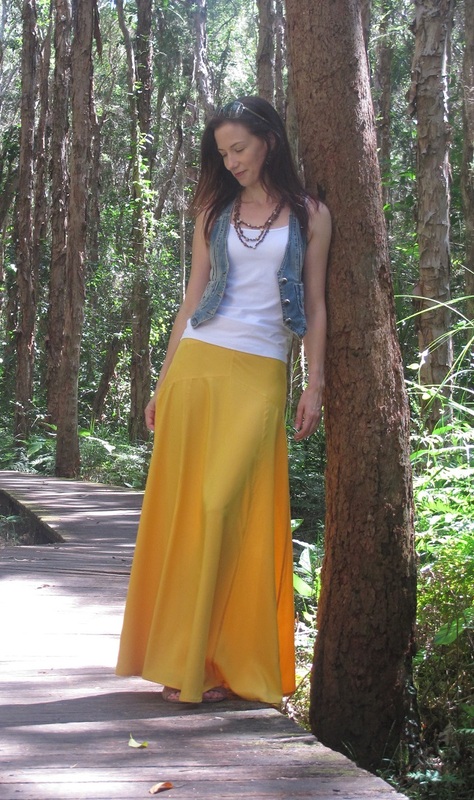 The skirt is still relatively popular, and just a few of you have gone for trousers or shorts. I think if I had a go-to trouser pattern I'd be tempted to choose trousers too, but I haven't quite found it yet. The big surprise though, is that dress patterns have proved to be so popular. The thing I love about dresses is that you have a whole outfit in one go and obviously lots of you (34%) feel the same way too! What's great to see is that there are lots of popular indie dress patterns cropping up, such as the Colette Moneta, Kitschy Coo's Lady Skater dress and the Emery dress by Christine Haynes. Tried and tested designs from the larger companies still remain popular - it's nice to see Simplicity 2444 getting a couple of mentions too!